I have the XPS 15 with 32GB SSD + 1TB HDD. I was planning to un-raid both drives and swap the 32GB SSD with a 512GB one. However, after some digging, I found that the SSD slot is for M.2 SATA which is quite slow compared to NVMe SSD. So, I just wanted to know. Can the Samsung 960 Pro (NMVe PCIe) fit in this or do I have to get an M.2 SATA SSD like the WD blue SSD? Which generation, 9550, 9560? Both support m.2 NVMe, 960 EVO or PRO should be fine. With the PRO you must use a thermal pad to take some heat to the case (2mm thick but soft fluffy standard type, not some dense world-class-thermal-conductivity kind) - doesn't harm with the EVO either. You can use an NVMe SSD, but I would recommend changing your SATA operation mode in the BIOS to AHCI rather than RAID. Despite the name "SATA operation", it does affect how NVMe drives are handled. To "un-RAID" the drives, open the Intel Rapid Storage application in Windows and disable acceleration. > To "un-RAID" the drives, open the Intel Rapid Storage application in Windows and disable acceleration. Actually this is not un-RAIDing, rather disabling caching the HDD using the small SSD (Intel Smart Response). Then one can keep using the RAID controller, where the NVMe SSD is controlled by the Intel RST driver. 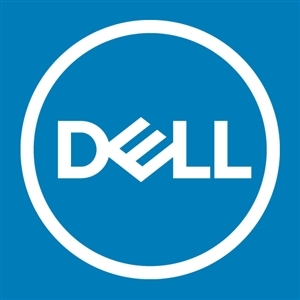 This is the mode officially supported by Dell. Alternatively, one can disable the RAID controller, that's the AHCI mode. There, the SSD is initially controlled by the MS NVMe driver, which can be replaced by the factory (Samsung) NVMe driver if available. Benchmarks tend to show better performance with the latter, but in case of trouble you're on your own. I realize that what I described isn’t un-RAIDing, but they weren’t actually in a real RAID mode to begin with, which is why I put “un-RAID” in quotes. I also realize you can keep the RAID mode enabled in the BIOS, but there’s no reason to do so. It just becomes another driver to install.